DON WELCH was a Nebraska native and the author of numerous collections of poetry including Dead Horse Table (1975), The Rarer Game (1980), A Brief History of Feathers (1996), Inklings: Poems Old and New (2001), and Gutter Flowers (2005). He won many awards and honors, including the Pablo Neruda Prize for Poetry. A poet and educator, Welch was born in Hastings, and spent his early years roaming through small towns definitive of Nebraska, such as Gothenburg and Columbus. Welch earned a Bachelor of Arts from Kearney State College (now University of Nebraska at Kearney), a Master of Arts from the University of Northern Colorado, and a Ph.D. from the University of Nebraska-Lincoln. He began his career teaching English at Fort Morgan, CO, then at Gothenburg High School. He also taught poetry writing to primary and secondary students through the Nebraska Arts Council. 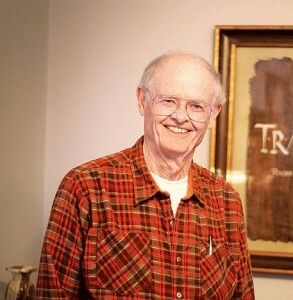 He continued his career in education as a professor at the University of Nebraska at Kearney where he taught English and Philosophy for fifty years as the Martin Distinguished Professor of English and the Reynolds Chair of Poetry Professor, officially retiring from English in 1997 but continued teaching in Philosophy until 2008. A volume of his writing, Homing: The Collected Poems of Don Welch (2016 Rogue Faculty Press), won the 2017 Nebraska Book Award for Poetry, and is available on Amazon.